A Starbucks barista has taken to social media hoping to make orders for the coffee chain's much buzzed about Unicorn Frappuccino disappear. 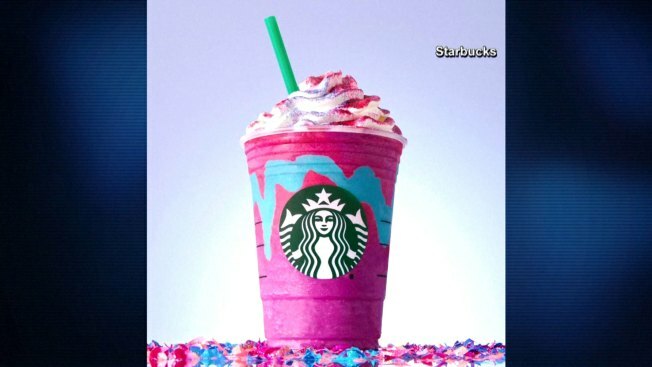 Starbucks' entry into the unicorn food craze was released Wednesday and its popularity was too much for 19-year-old Colorado barista Braden Burson. He posted a video (now-deleted) on Twitter after his shift complaining that it was difficult to keep up with orders for the drink and he's "never been so stressed out" in his life. "It's a great drink. But it is difficult to make when there are like 20 fraps all at once both front and drive thru," he wrote in a Facebook message. Starbucks said in a statement Thursday that the popular reception of the drink has "exceeded everyone's expectations." It added that it is reaching out to Burson "to talk about his experience and how to make it better."